Amy Miller gets dumped on her wedding day and everyone knows it’s for the best her relationship with David had eaten away at her for years. Except for Amy… When her best friend, Jane Austen-Rabinowitz, and Jane’s sagacious six-year-old daughter, Zoe, convince Amy to treat herself to an extravagantly priced, super-cute pair of shoes, which purportedly once belonged to a siren of the silver screen, she balks at first, but their allure soon wears her down. Once they are hers, her life turns around. She gets refocused on her career and meets a true kindred spirit, the also-jilted English professor, Decklin Thomas. She’s not attracted to Deck at first. But when circumstances lead to them spending more time together, they bond, and Amy starts to believe she may have found her soul mate. But when Deck’s former wife goes missing, again, the perfect romance may not be what it seems… Sparkly and witty as a 1940s screwball comedy, and filled with quirky characters and lots of delightful surprises, Rita Hayworth’s Shoes is a story of bouncing back, a heartwarming and potentially heartbreaking romance, and even a mystery rolled into one fun, hilarious page-turner. 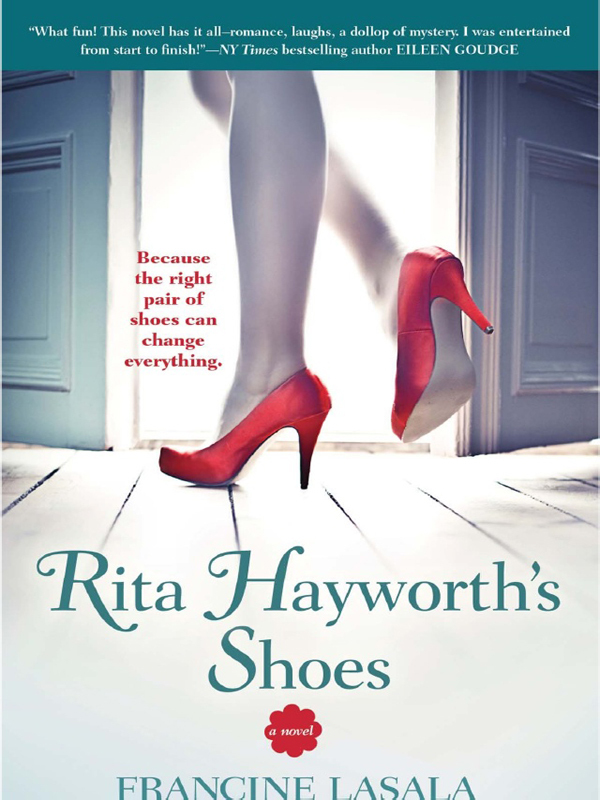 You can purchase the book online from Amazon at http://www.amazon.com/Rita-Hayworths-Shoes-Francine-LaSala/dp/1938120175/ref=sr_1_fkmr0_1?s=books&ie=UTF8&qid=1345580620&sr=1-1-fkmr0&keywords=Rita+Haywoth%27s+Shoes. Print and eBook formatting by Shelley Glasow Schadowsky.